Over the last few decades, the use of corpus data has infiltrated many areas of applied linguistics. One area where the methods and principles of corpus linguistics have had a significant practical impact is language learning and teaching. 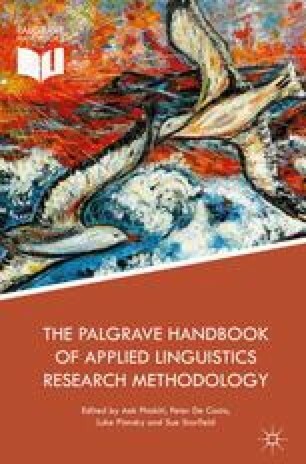 This chapter offers a critical overview of how corpus-based descriptions of language use have been used to inform reference publishing (most particularly grammars and learner dictionaries), language teaching syllabus design and the content of teaching materials (e.g., textbooks). The chapter focuses more particularly on how corpus-derived frequency information and (genre-based) lexicogrammatical descriptions can be used to help with decisions about what to teach and how to teach it. It also explores the role of learner corpora for these pedagogical purposes. The chapter closes with a discussion of two major challenges for corpus research for language learning and teaching, that is, the need for more pedagogical mediation of corpus findings and the choice of the reference corpus, and one controversial issue in the field, that is, the pedagogical usefulness of authentic corpus examples vs. made-up examples.